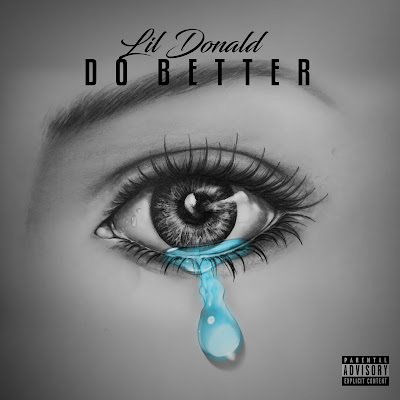 Atlanta, GA; Good Life Music Group is proud to bring to you the latest record from Lil Donald "Do Better". Lil Donald is consistently using his Instagram page to leak snippets of new songs and engage his fanbase by going live from the studio. When he dropped a few videos of himself rapping bars from the track, his fans went crazy asking him to drop the track. Well, in true Lil Donald fashion he leaked it on his Soundcloud and the Daniel Few produced record took off. “Do Better” is a true ladies anthem that inspires women to leave alone and forget about the men that did them wrong because you can “Do Better”. What is better than the message?? The reception that the male listeners are also giving Lil Donald. We could not sit on this track and longer, therefore we got the team together to officially present you today with a guaranteed, fan driven track… “Do Better”.